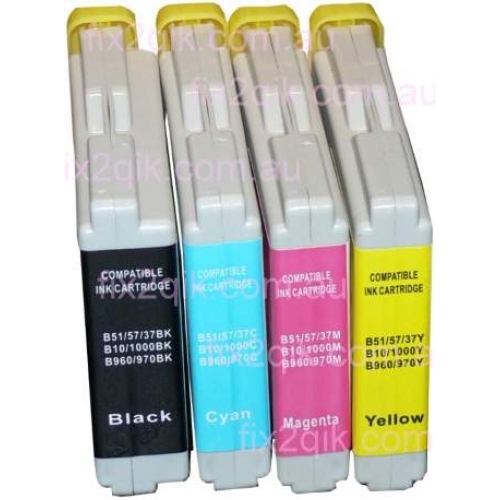 DCP130C, DCP135C, DCP150C, MF260C, MFC235C, DCP330C, DCP350C, DCP540CN, CP560CN, MFC240C, MFC440CN, MFC665CW, MFC685CW, MFC885CW, MFC3360C, MFC5460CN, MFC5860CN, FAX1360, Fax2480C, MFC465CN.
. 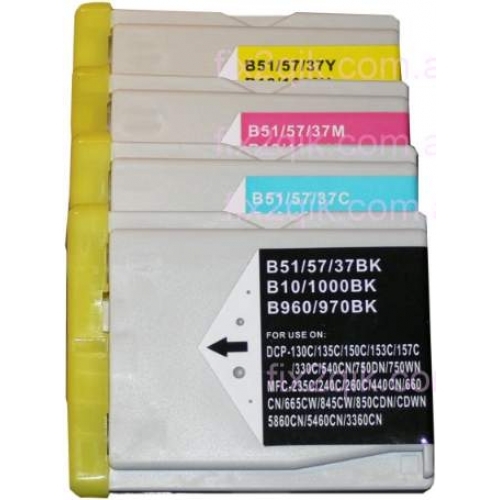 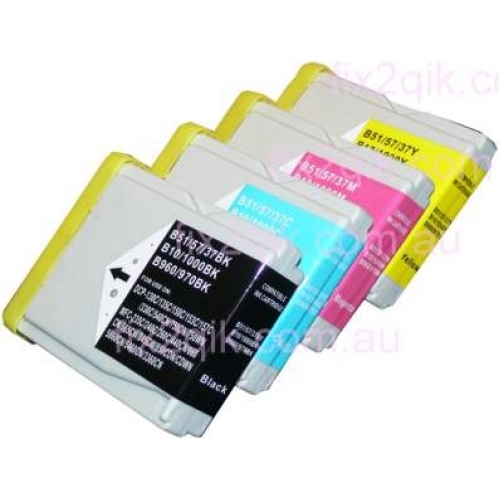 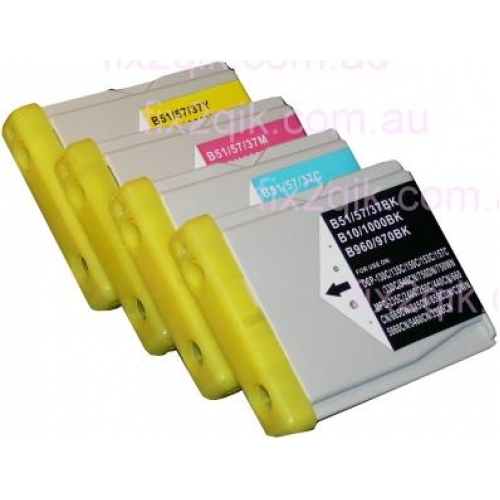 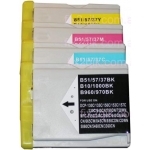 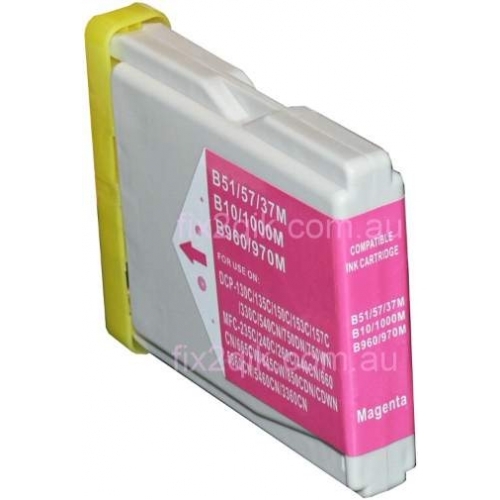 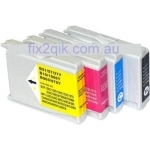 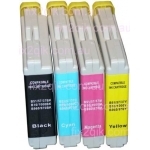 Equivalent to the genuine Brother ink cartridge numbers: LC-57 Black , LC-57 Cyan , LC-57 Magenta , LC-57 Yellow .
. 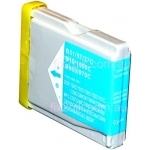 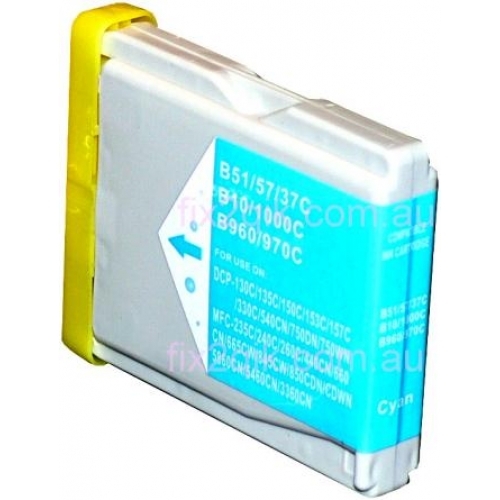 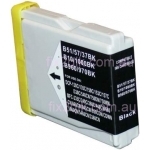 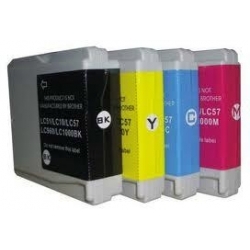 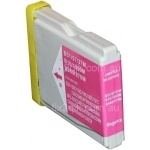 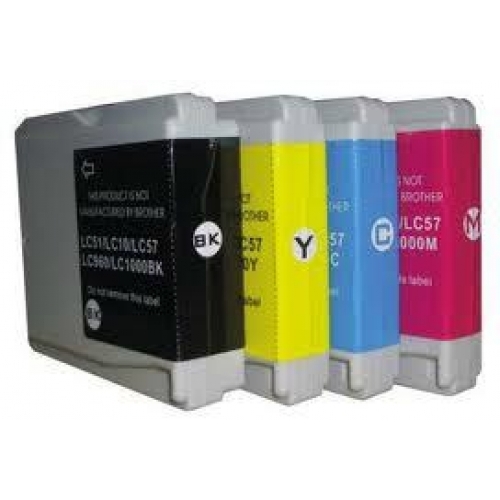 The diference is LC-37 ink cartridges are standard yield version for the models listed above: LC-37 Black (17ml / 350 pages)/ LC-37 Cyan (13ml / 300 pages) / LC-37 Magenta (13ml/ 300 pages) / LC-37 Yellow (13ml / pages).
. Where as the LC-57 inks selling here; as pictured; are the high yield version inks: LC-57 Black (24ml / 500 pages) / LC-57 Cyan (17ml / 400 pages ) / LC-57 Magenta (17ml / 400 pages ) / LC-57 Yellow (17ml / 400 pages).
. Please Note: We do not sell the 600 pages (or more yield) high capacity cartridge versions due to the risk of ink leaky during transport, or becoming leaky after installation. 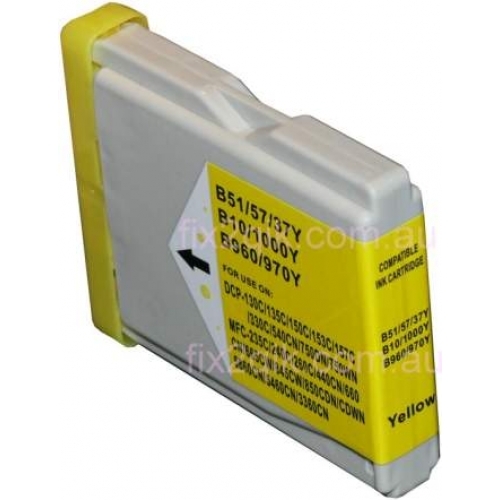 This could lead to unpredictable short circuit resulting in voiding your printer warranty.